Stan VanDerBeek (January 6 1927 - September 19 1984) was an American experimental filmmaker. VanDerBeek studied art and architecture first at Cooper Union College in New York and then at Black Mountain College in North Carolina, where he met architect Buckminster Fuller, composer John Cage, and choreographer Merce Cunningham. VanDerBeek began his career in the 1950s making independent art film while learning animation techniques and working painting scenery and set designs for the American TV show, Winky Dink and You. His earliest films, made between 1955 and 1965 mostly consist of animated paintings and collages, combined in a form of organic development. VanDerBeek's ironic compositions were created very much in the spirit of the surreal and dadaist collages on Max Ernst, but with a wild, rough informality more akin to the expressionism of the Beat Generation. In the 1960s, VanDerBeek began working with the likes of Claes Oldenburg and Allan Kaprow, as well as representatives of modern dance, such as Merce Cunningham and Yvonne Rainer. Building his Movie Drome theater at Stony Point, New York, at just about the same time, he designed shows using multiple projectors. These presentations contained a very great number of random image sequences and continuities, with the result that none of the performances were alike. His desire for the utopian led him to work with Ken Knowlton in a co-operation at Bell Labs, where dozens of computer animated films and holographic experiments were created by the end of the 1960s. Between 1964 and 1967 Vanderbeek created Poem Field, a series of 8 computer-generated animations with Ken Knowlton. During the same period, he taught at many universities, researching new methods of representation, from the steam projections at the Guggenheim Museum to the interactive television transmissions of his Violence Sonata broadcast on several channels in 1970. He ran the University of Maryland visual arts program until his death. A pioneer in the development of experimental film and live-action animation techniques, Stan VanDerBeek achieved widespread recognition in the American avant-garde cinema. An advocate of the application of a utopian fusion of art and technology, he began making films in 1955. In the 1960s, he produced theatrical, multimedia pieces and computer animation, often working in collaboration with Bell Telephone Laboratories. 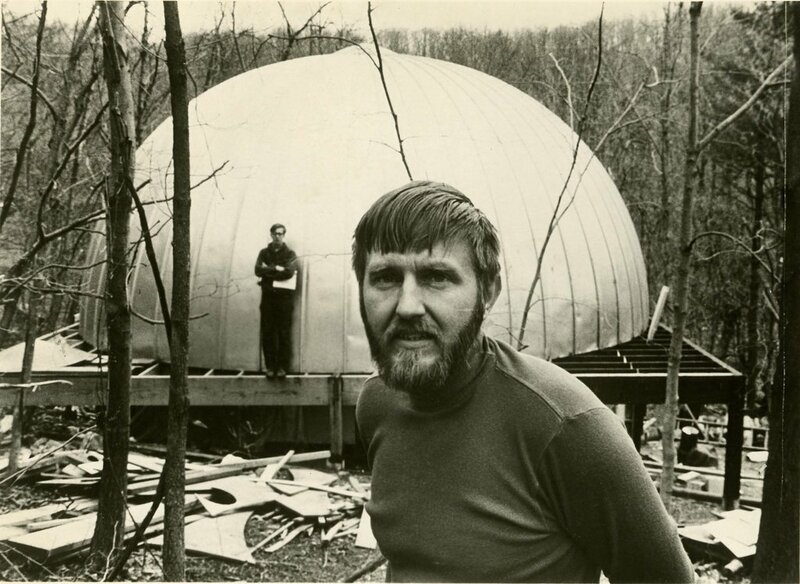 In the 1970s, he constructed a 'Movie Drome' in Stony Point, New York, which was an audiovisual laboratory for the projection of film, dance, magic theater, sound and other visual effects. His multimedia experiments included movie murals, projection systems, planetarium events and the exploration of early computer graphics and image-processing systems. VanDerBeek was also intimately involved with the artists and art movements of his time; he filmed Happenings and merged dance with films and videos. VanDerBeek was a preeminent thinker, scientist, artist, and inventor who forged new links between art, technology, perception, and humankind. In 1966, he wrote a visionary manifesto about man losing his way in his place on earth and the power of artists to rectify the course.